It is a need for every organization to remain on the toes 24X7 to compete with today’s aggressive and dynamic business environment. An online e-commerce store is of an immense help to every organizations to run nonstop business environment with a computer at work, home or coffee shop. Shopping carts makes life easy by tracking the product purchased/sold status any time. Tatwa provides customer centric customized solutions to our clients like; merchant account and integration, secure socket layers,, inventory track record, shipping calculation, custom database, special offer systems, website hosting and secure socket layers. Online shopping carts are the most preferred and reliable channel in attracting more customers and increase the profitability. Whether its a simple website or an complex application, Web Design or Graphic Design, static image or animated graphics, TATWA delivers a step ahead than expected .Hence we replace the term web design as interactive design .As the designs are not limited to look and feel of the website only but ensuring high end userexperience. 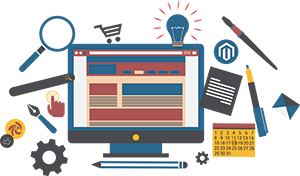 For client specific need , time and the budget we suggest most preferred open source technologies like Joomla, Drupal, Magento, Wordpress ,opencart etc .Never the less our team is equally equipped and skilled in developing any web application from the scratch and provide customized solutions . TATWA develops full lifecycle programs in both software and web-based applications utilizing Microsoft, JAVA, Adobe and Macromedia Technologies. We specialize in SQL, ORACLE and MY SQL Server integrated programming and have a history of resolving existing issues in critical applications. (2) A State Government company that sells & procures different varieties of seeds across the states faced heavy loss due to improper inventory management & unavailability of information real time. TATWA designed a comprehensive warehouse and inventory management application for them that help them to control, plan, organize and manage the entire process through web and mobile. Our client says that the application has helped them to save huge amount of money, time and effort.